Omega-3 fatty acid supplements taken orally proved no better than placebo at relieving symptoms or signs of dry eye, according to the findings of a well-controlled trial funded by the National Eye Institute (NEI), part of the National Institutes of Health. Dry eye disease occurs when the film that coats the eye no longer maintains a healthy ocular surface, which can lead to discomfort and visual impairment. The condition affects an estimated 14 percent of adults in the United States. The paper was published online April 13 in the New England Journal of Medicine. Annual sales of fish- and animal-derived supplements amount to more than a $1-billion market in the United States, according to the Nutrition Business Journal. Many formulations are sold over-the-counter, while others require a prescription or are available for purchase from a health care provider. "The trial provides the most reliable and generalizable evidence thus far on omega-3 supplementation for dry eye disease," said Maryann Redford, D.D.S., M.P.H., program officer for clinical research at NEI. 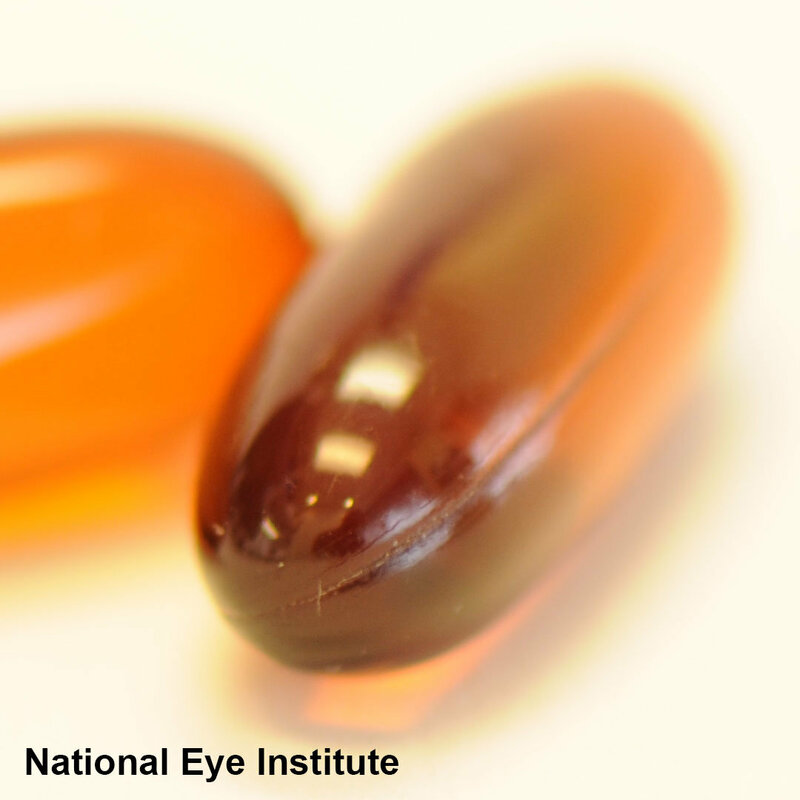 Despite insufficient evidence establishing the effectiveness of omega-3s, clinicians and their patients have been inclined to try the supplements for a variety of conditions with inflammatory components, including dry eye. "This well-controlled investigation conducted by the independently-led Dry Eye Assessment and Management (DREAM) Research Group shows that omega-3 supplements are no better than placebo for typical patients who suffer from dry eye." The 27-center trial enrolled 535 participants with at least a six-month history of moderate to severe dry eye. Among them, 349 people were randomly assigned to receive 3 grams daily of fish-derived omega-3 fatty acids in five capsules. Each daily dose contained 2000 mg eicosapentaenoic acid (EPA) and 1000 mg docosahexaenoic acid (DHA). This dose of omega-3 is the highest ever tested for treating dry eye disease. The 186 people randomly assigned to the placebo group received 5 grams daily of olive oil (about 1 teaspoon) in identical capsules. Study participants and the researchers did not know their group assignment. Blood tests at 12 months confirmed that 85 percent of people in the omega-3 group were still compliant with the therapy. In the omega-3 group, mean EPA levels quadrupled versus no change in the placebo group. Mean levels of oleic acid, the constituent of olive oil, remained stable in both treatment groups. Importantly, unlike in most industry-sponsored trials, all participants were free to continue taking their previous medications for dry eye, such as artificial tears and prescription anti-inflammatory eye drops. "Omega-3s are generally used as an add-on therapy. The study results are in the context of this real-world experience of treating symptomatic dry eye patients who request additional treatment," said study chair for the trial, Penny A. Asbell, M.D., of the Department of Ophthalmology at the Icahn School of Medicine at Mount Sinai in New York City. Patient-reported symptoms were measured as change from baseline in the Ocular Surface Disease Index, a 100-point scale for assessing dry eye symptoms, with higher values representing greater severity. After 12 months, mean symptoms scores for people in both groups had improved substantially, but there was no significant difference in the degree of symptom improvement between the groups. Symptom scores improved by a mean of 13.9 points in the omega-3 group and 12.5 points in the placebo group. A reduction of at least 10 points on the index is considered significant enough for a person to notice improvement. Overall, 61 percent of people in the omega-3 group and 54 percent of those in the control group achieved at least a 10-point improvement in their symptom score, but the difference between the groups was not statistically significant. Likewise, there were no significant differences between the groups in terms of improvement in signs of dry eye. Signs of dry eye were evaluated by the clinician using standardized tests that measure the amount and quality of tears and the integrity of the cornea and the conjunctiva, the surface tissue that covers the front of the eye. "The findings also emphasize the difficulty in judging whether a treatment really helps a particular dry eye patient," said the leader of the coordinating center for the study, Maureen G. Maguire, Ph.D., of the Department of Ophthalmology at the Perelman School of Medicine at the University of Pennsylvania, Philadelphia. "More than half the people taking placebo reported substantial symptom improvement during the year-long study." "The results of the DREAM study do not support use of omega-3 supplements for patients with moderate to severe dry eye disease," Dr. Asbell concluded. More information: The Dry Eye Assessment and Management Study Research Group. 2018. 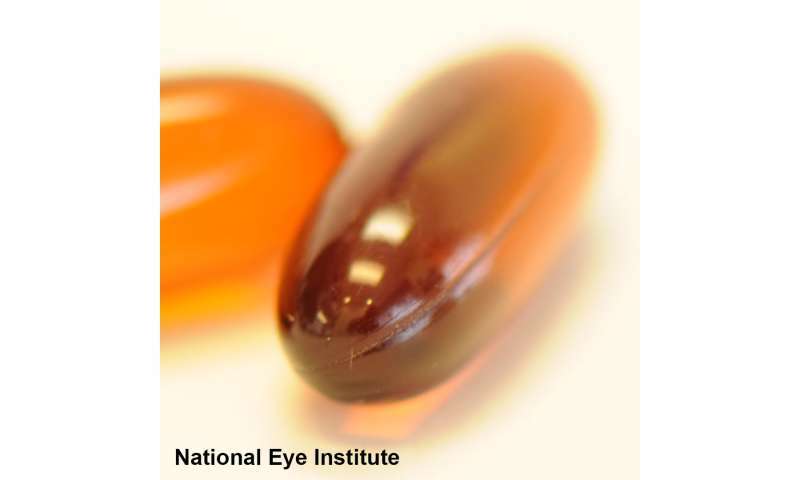 Omega-3 fatty acid supplementation for treatment of dry eye disease. N Engl J Med. Published online April 13.